The crisp air, cozy layers, comfort food, and family gatherings make Fall my favorite season. It’s not quite here temperature-wise, but I am so mentally ready for it! Fall is also the time of year for squash. Pumpkins, butternut, kombucha, and more- they are in abundance at every grocery store. 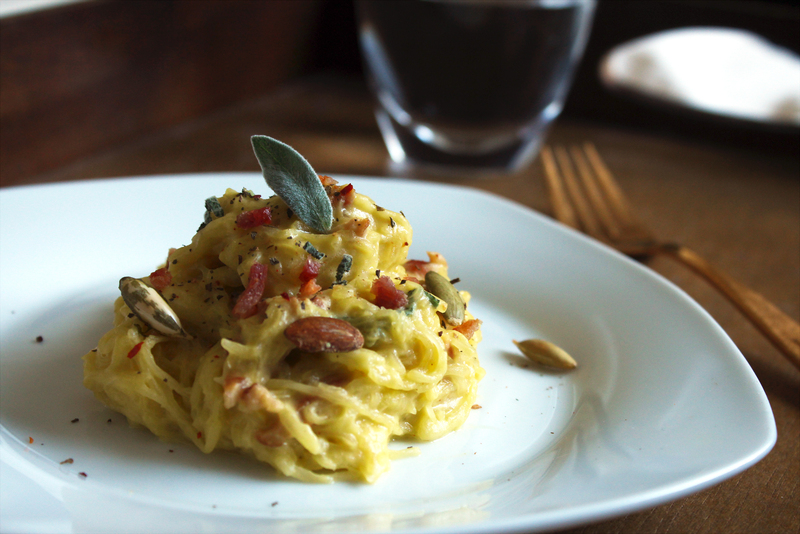 Of all the squash varieties, I’ve always been fascinated with spaghetti squash- what’s not to like about a veggie that acts as a substitute for pasta? It’s like magic. I saw some at Trader Joe’s and decided I really wanted to do some kind of spaghetti squash dish with sage, but everything online was some iteration of sage and butter. Dousing a healthier alternative to pasta in butter seemed counterproductive so I experimented with my own coconut cream, delicata squash, and sage sauce. It sounds like a lot of parts, but it really isn’t that complicated! Preheat oven to 400 degrees Fahrenheit. 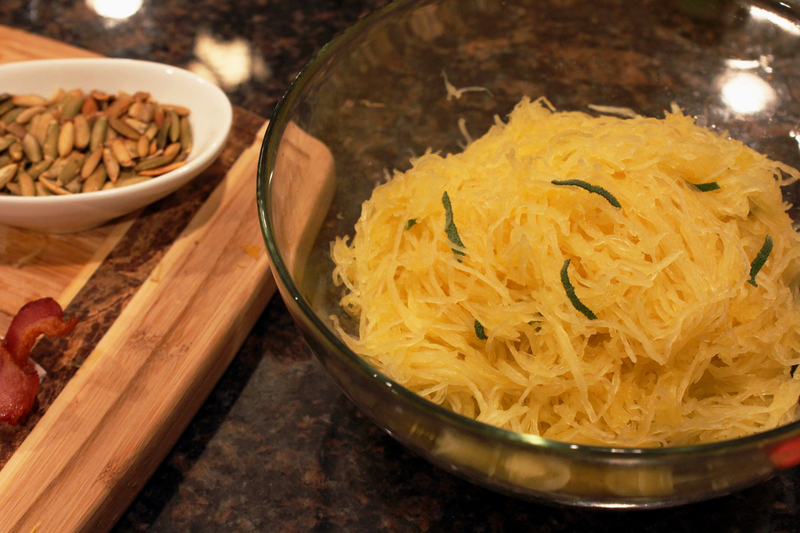 Cut the spaghetti squash crosswise- this creates longer “pasta” strands. Scoop out seeds with a spoon. 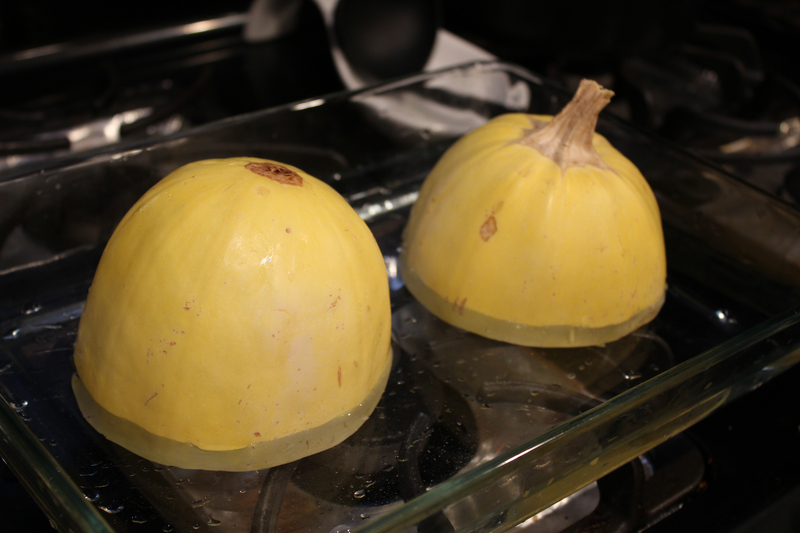 Place the squash with the cut sides down in a glass baking pan. Add enough water to fill up the pan about an inch. Pop into the oven- it should take between 30-40 minutes to cook. 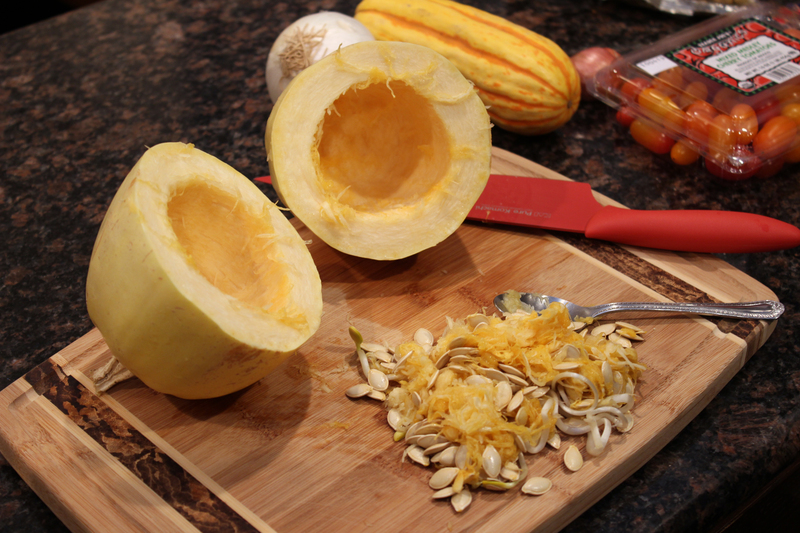 Next, cut the delicata squash like so. Scoop out seeds, and cube. Throw delicata cubes into a medium sized pot with sage, onions, and coconut cream. Add garlic salt and pepper. Bring to a boil over medium heat then lower heat. 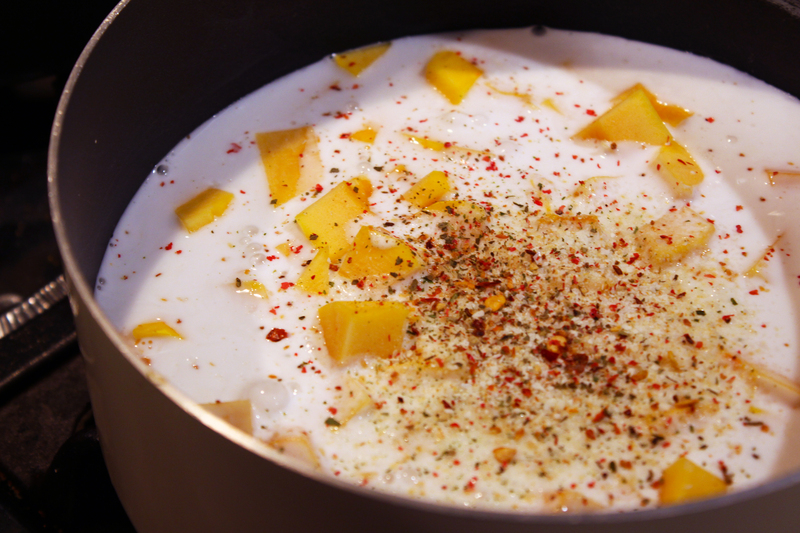 After boiling for about 10 minutes, once squash is soft, remove from heat and use emulsifier or blend. 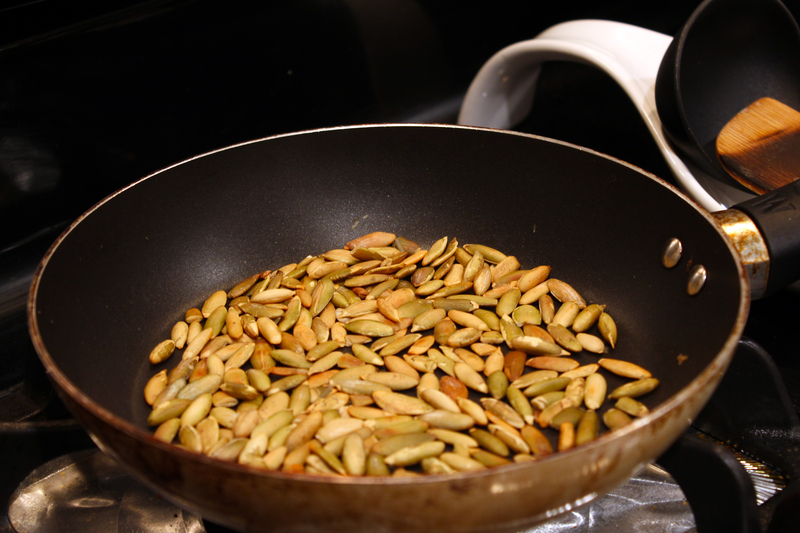 Toast pumpkin seeds in a pan over low heat, constantly moving the seeds around for about 3 minutes. If they start popping remove from heat immediately! The spaghetti squash should be done after about 40 minutes. 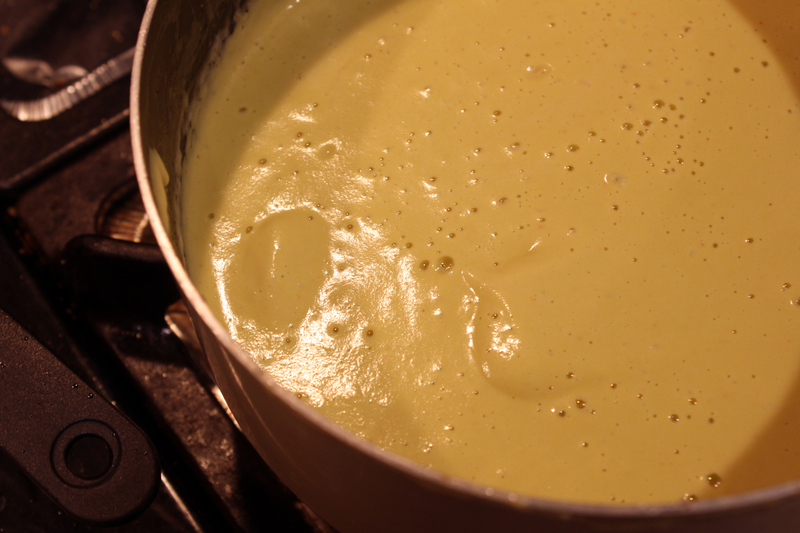 The skin should give slightly under the pressure of a spoon like ripe fruit. Remove from glass baking pan and cool. 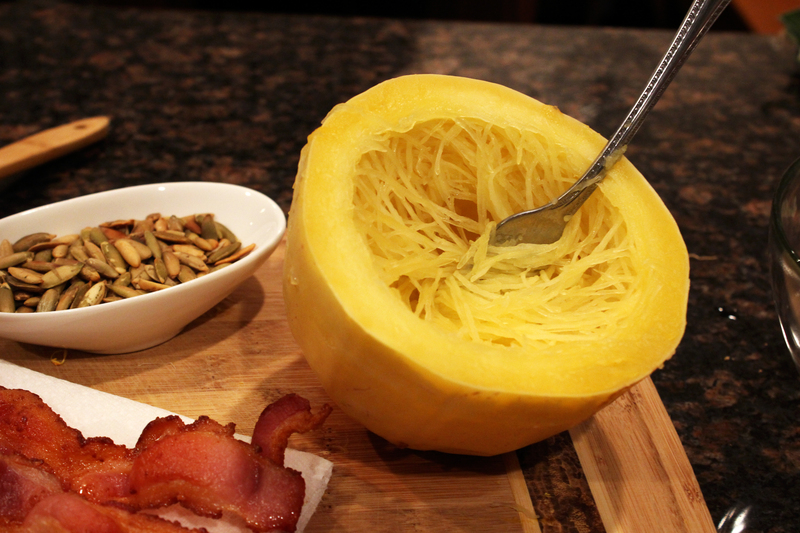 Use a fork to carefully break down the insides of the squash into long strands. I chopped up some sage and threw it into the spaghetti squash while it was still hot. Plate out portions and spoon sauce over the top. Season with salt and pepper to taste, then add chopped bacon, toasted pumpkin seeds, grated parmesan cheese, and diced sage. 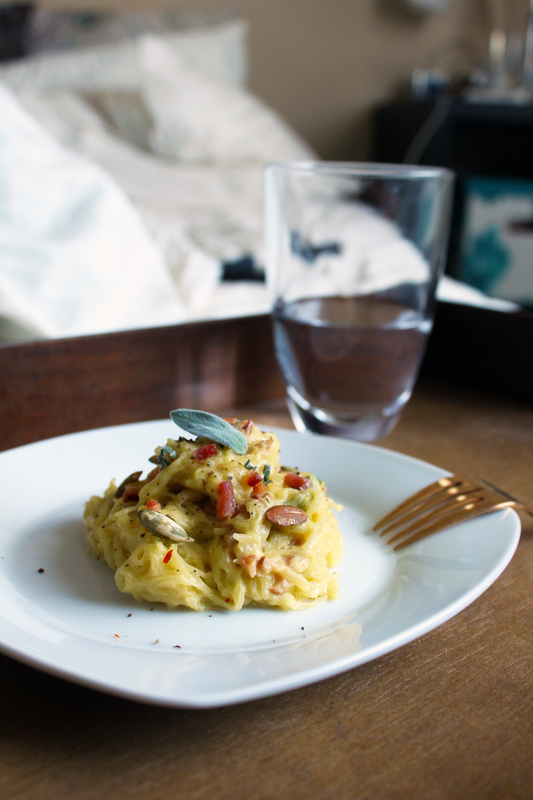 Enjoy your healthier version of pasta with all things Fall! 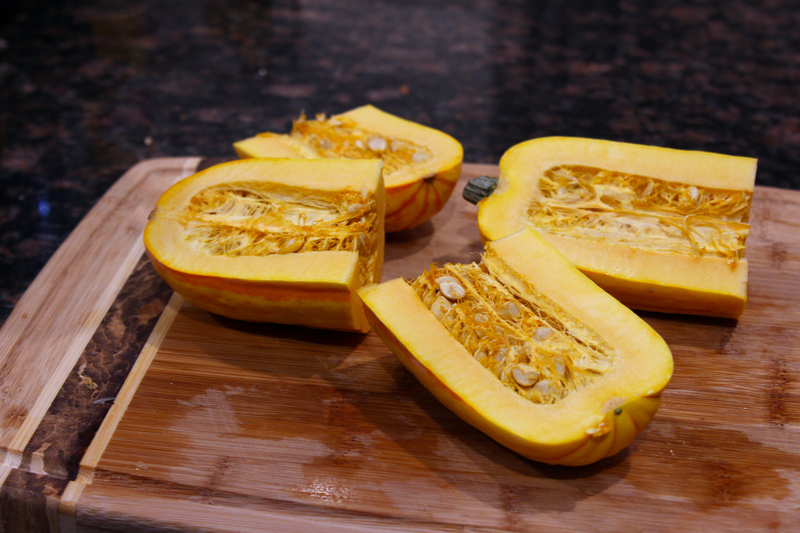 I can’t say enough good things about this squash recipe! I’m pretty jealous that I didn’t think of it myself. Do yourself a favor and make this for dinner tonight! I just made this. I’m planning on taking it to a dinner party tonight. I also went to culinary school, so it’s kind of expected that I bring something mind-blowing. So the pressure is on. I was really skeptical about the 2 Tbsp. of garlic salt. I usually avoid it altogether, and just use salt and garlic separately to achieve the right flavor balance. But I took a leap of faith and added the full 2 Tbsp. I tasted the sauce (before blending the squash) and it seemed waaaay too salty. I started to get worried. This dish has officially become a staple in this house. Thank you!! This dish is absolutely beautiful! Wow I enjoyed reading through this recipe. 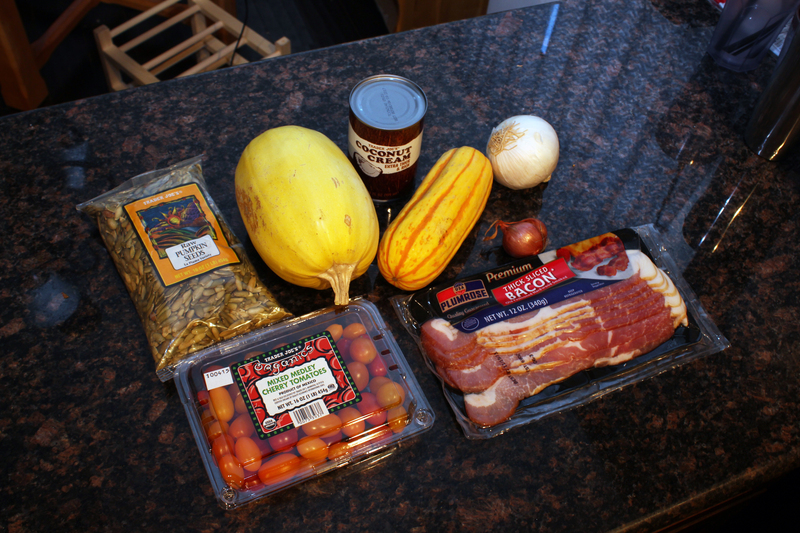 I have to make some spaghetti squash next week. You have inspired me!